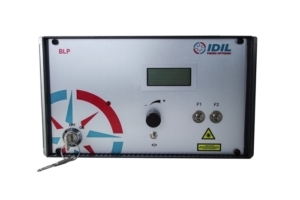 IDIL Fibres Optiques designs and manufactures pulsed laser source at 690nm. IDIL Fibres Optiques system can deliver pulsed light beams at a wavelength of 690nm with tunable pulse width between 30µs and 10ms. 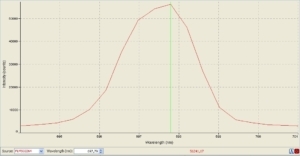 The period is adjustable between 4ms and 50ms. 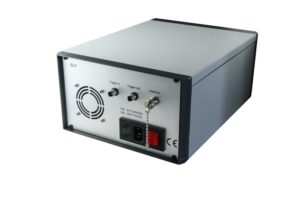 The peak pulse power is also adjustable between 0 and 2mW (by adjusting intensity of the laser diode or value of the attenuation). Trigger mode can be internal or external. Our system comes in a compact design. 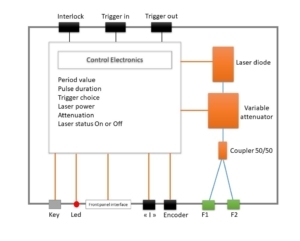 Please contact us to customize your pulsed laser source (wavelength, output power, pulse frequency and period, output connectors…). IDIL Fibres Optiques laser design is a rack ½ 19’ (height 3U), powered by 230VAC.